Treat your pet to a custom Bed Cover from Bow Wow Beds ($25 and up). These covers feature a 100% durable Duck Canvas construction which can be filled with your choice of stuffing. 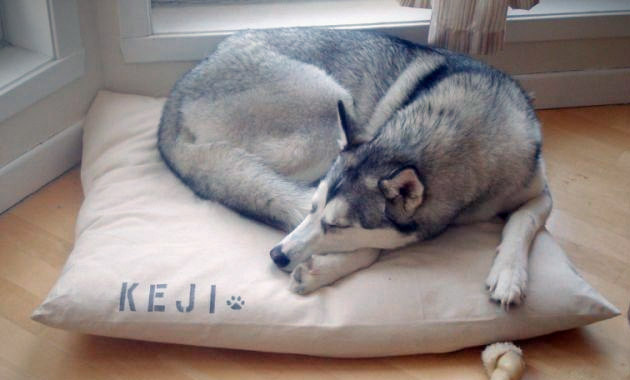 Each bed cover is available in a variety of sizes and can be customized with a personal message or your pet's name.